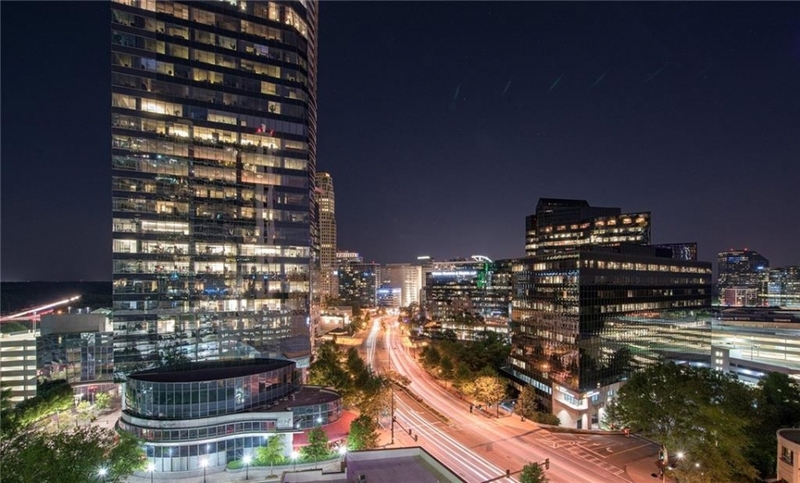 Paramount sits across 400 on the northeast side of Buckhead and looks directly into the heart of Buckhead’s financial districts. 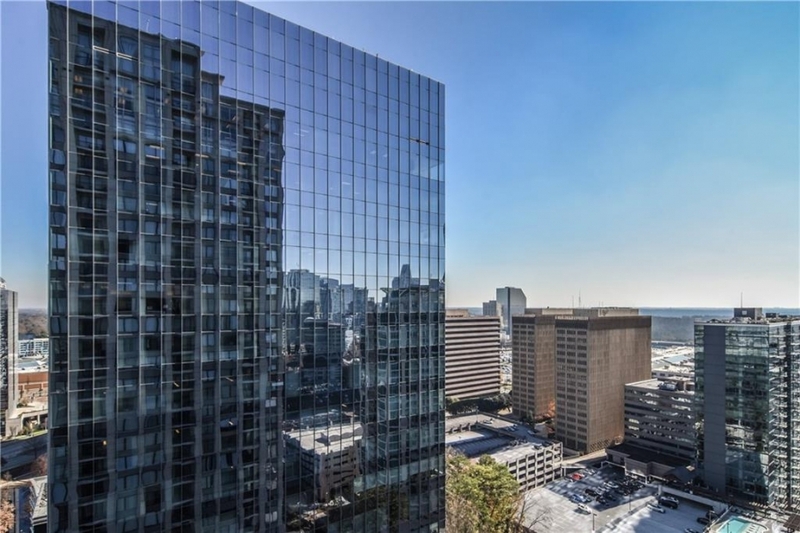 Because it’s located next to the Mandarin Oriental and the Alliance Center buildings, units located on the east side of Paramount don’t have the expansive views that units on the other sides have, but the sheer beauty of the surrounding buildings is awe inspiring. 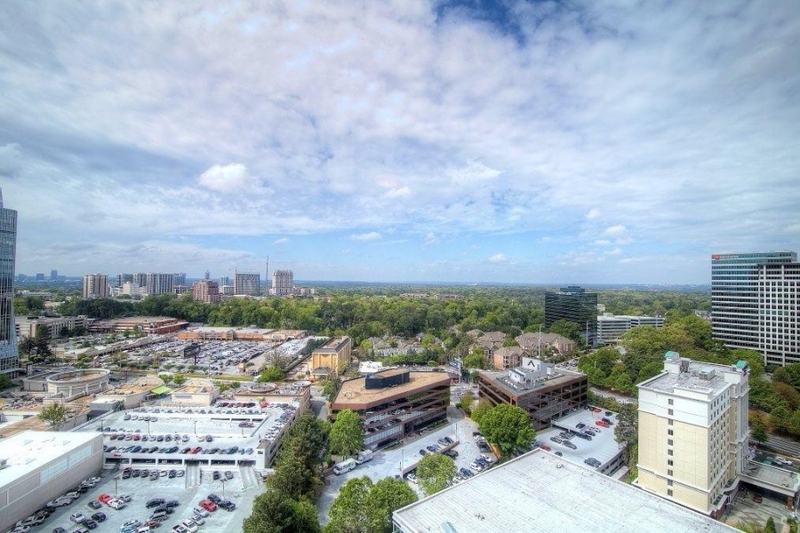 West facing units have a unique vantage point that looks directly into the heart of Buckhead. 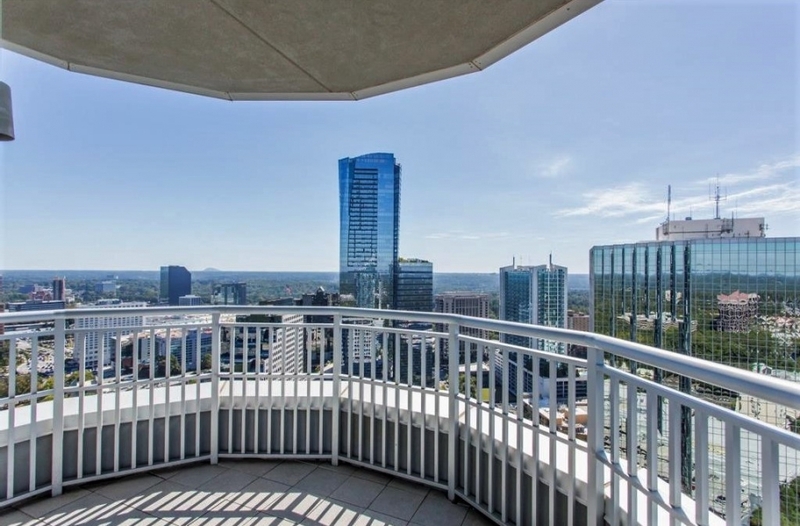 Surrounded by some of Buckhead’s most iconic buildings, Realm boasts some of the best views in all of Buckhead. 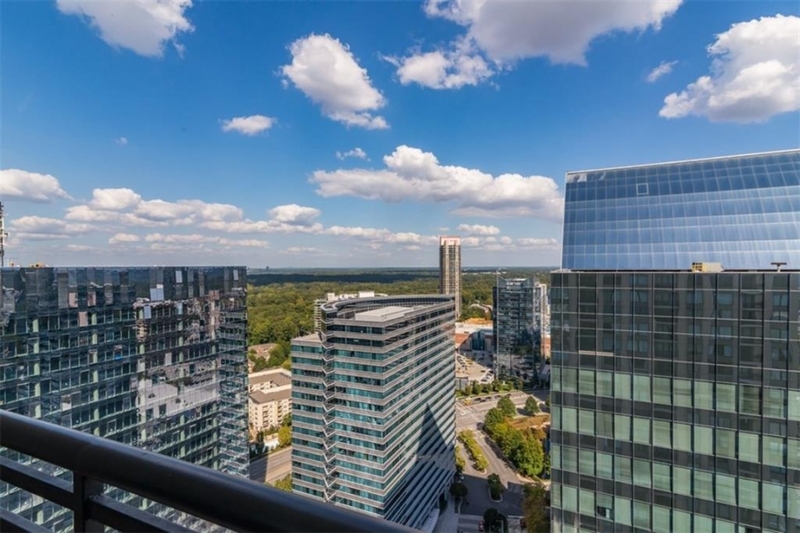 North facing units have fantastic views of Sovereign, while south facing condos look out over the 3-building development of Terminus. 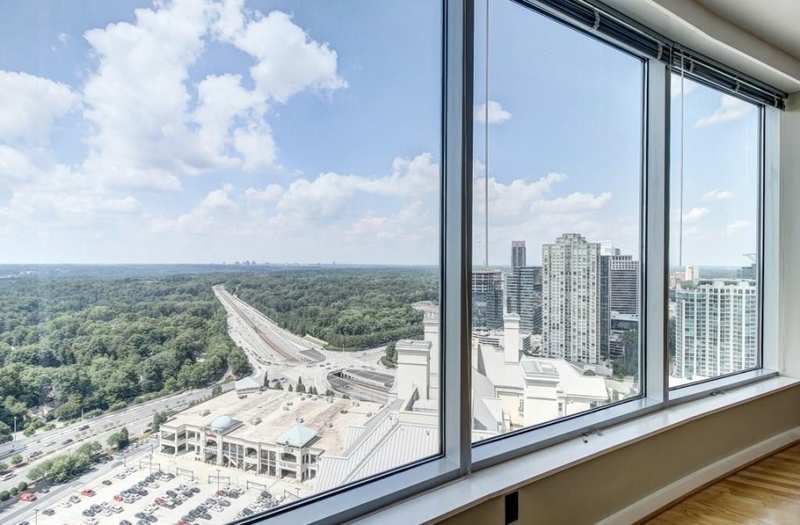 Units near the northeast corner also have a stunning view of Peachtree Road as it runs towards Lenox Mall. 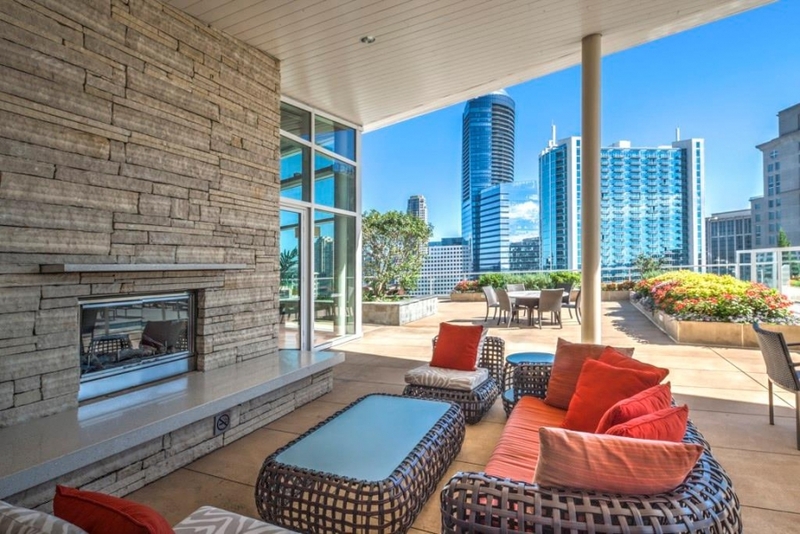 Terminus is one of my favorite condo developments in Buckhead. 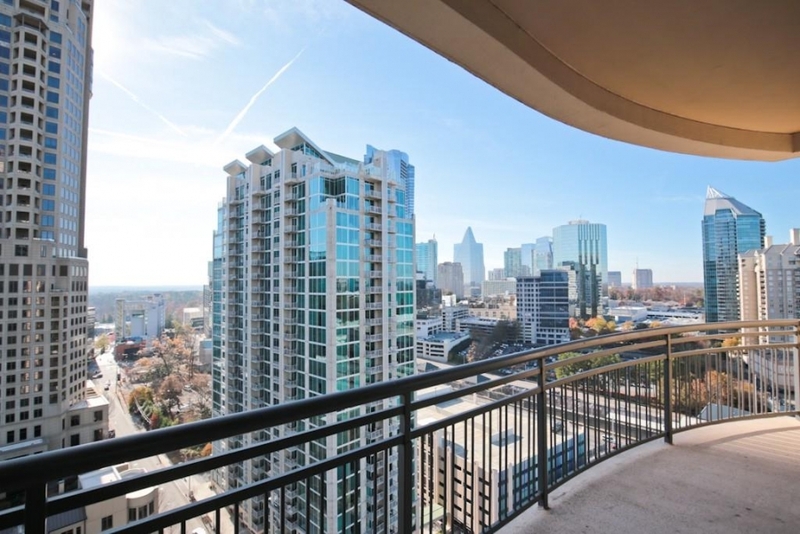 Sitting on Piedmont just north of Peachtree, west facing units have beautiful, unobstructed views all the way out to Kennesaw Mountain. 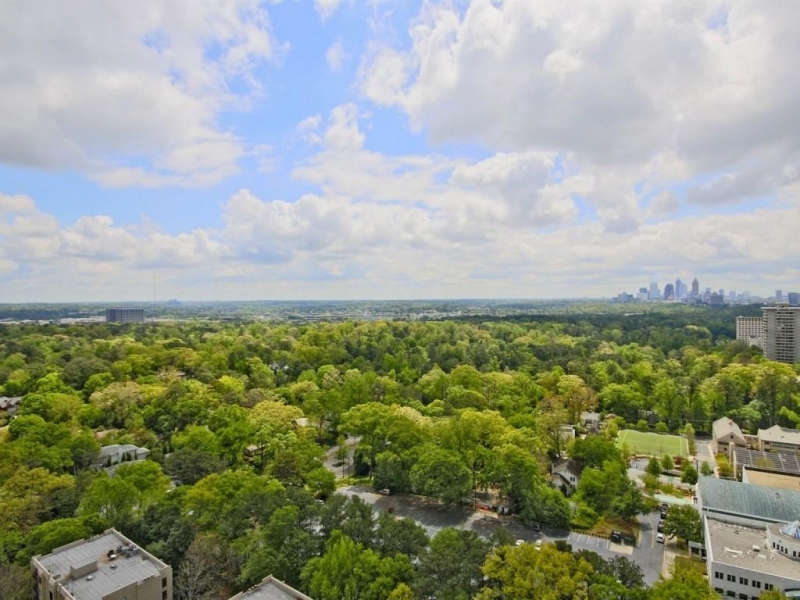 Looking out over the thickly wooded neighborhoods of North Buckhead, you might even forget you’re in the heart of a bustling city. 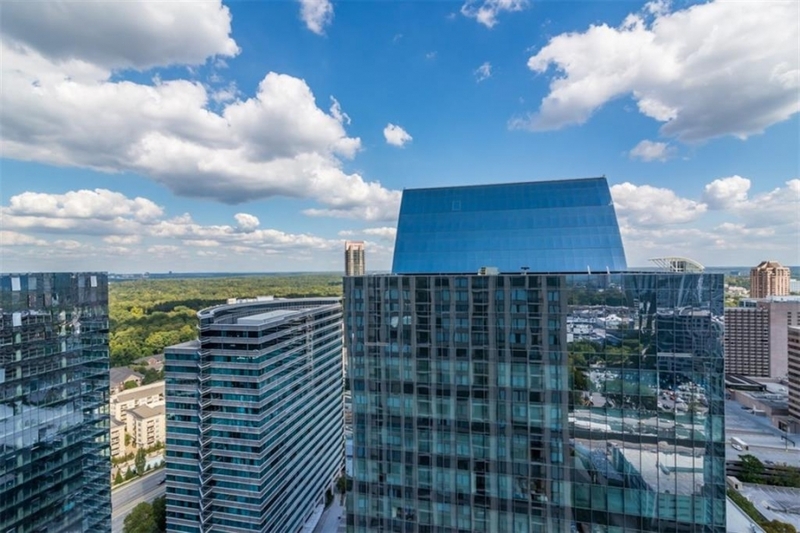 Views from the east side of the building couldn’t be more different – with units looking out over a cluster of Buckhead’s most photogenic buildings. 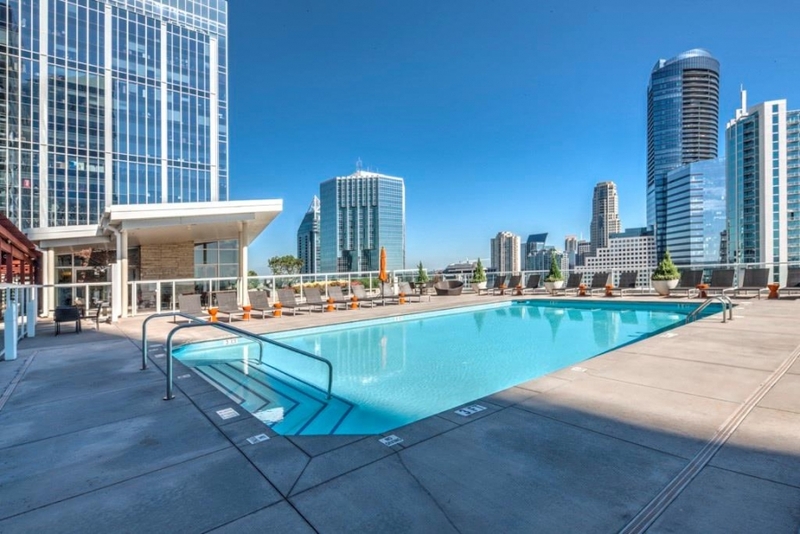 The 14th floor pool and clubhouse take full advantage of these views. 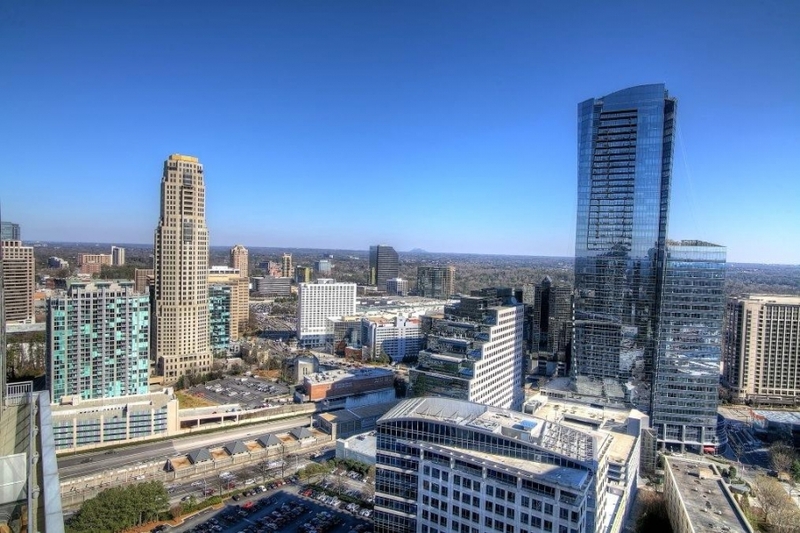 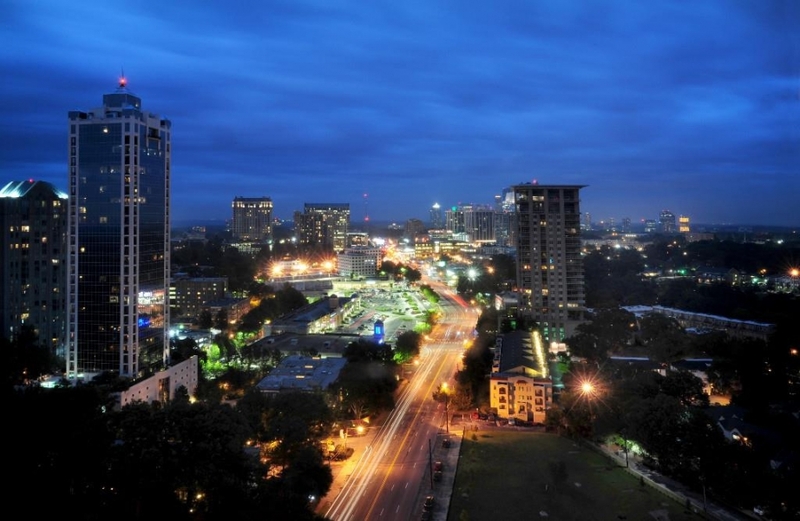 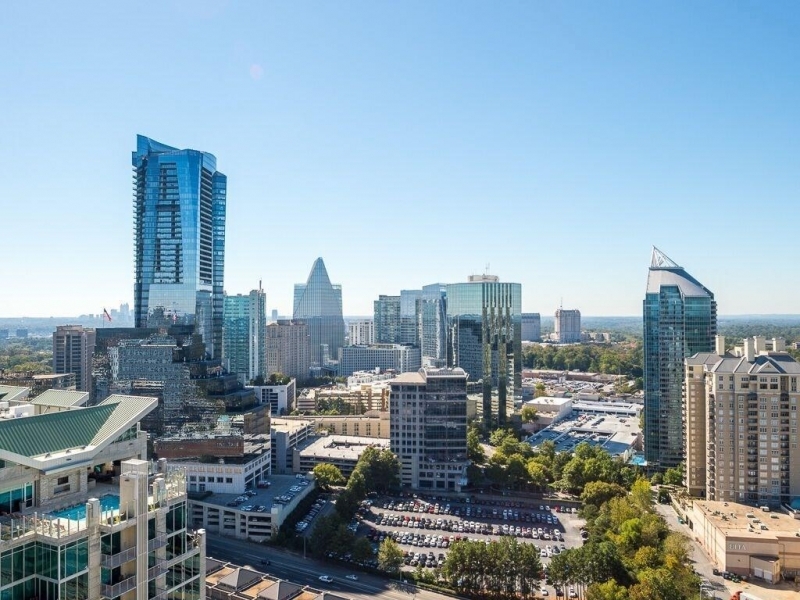 Sitting on the Northside of Buckhead, just off 400 and Lenox, Buckhead Grand offers commanding views of the city to the south and out to Kennesaw Mountain on the west. 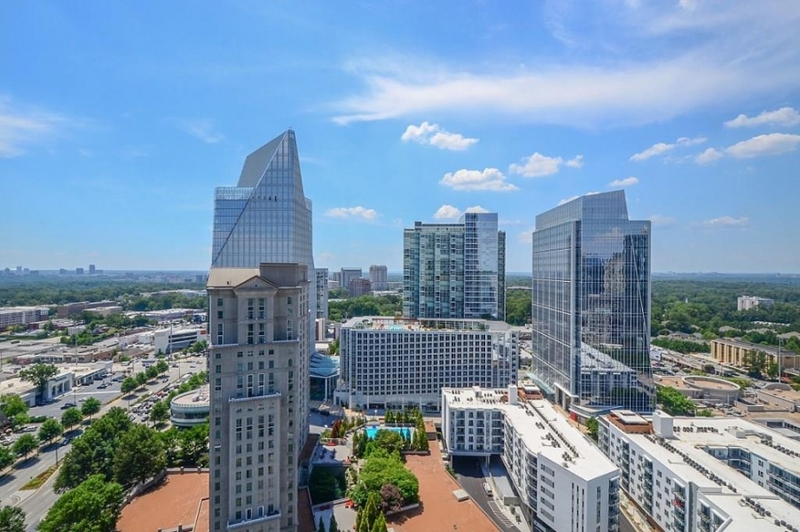 While some of the views on the north side of the building are obscured by the neighboring Meridian condo building, Buckhead Grand’s Sky Lounge more than makes up for this. 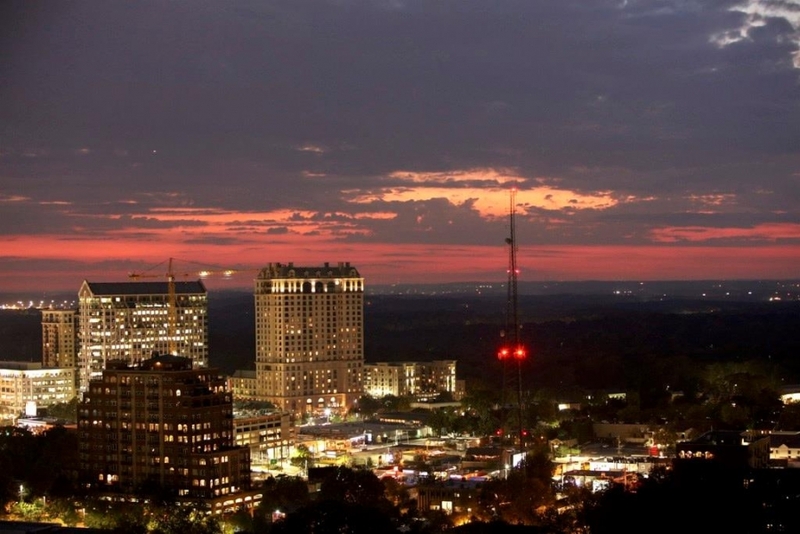 Sitting on the 37th floor, the lounge offers what is arguably one of the best views in Atlanta. 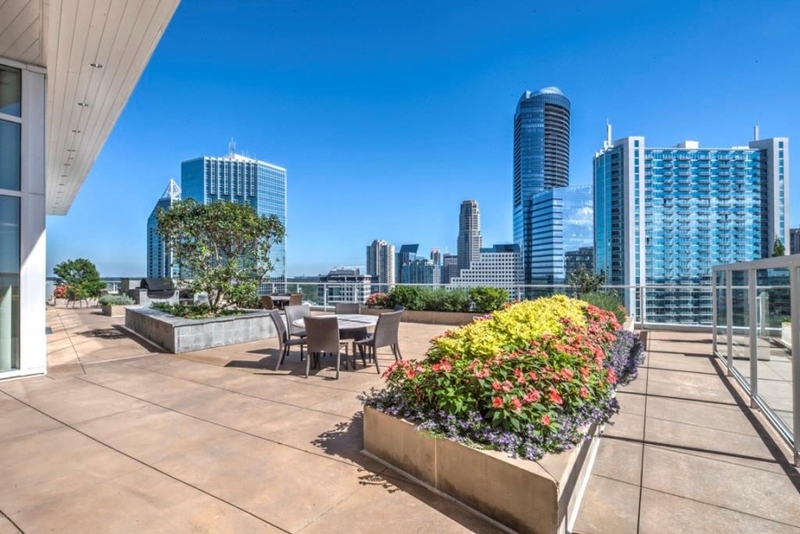 And you can soak in all 270 degrees of that view on the Sky Lounge’s outdoor terrace. 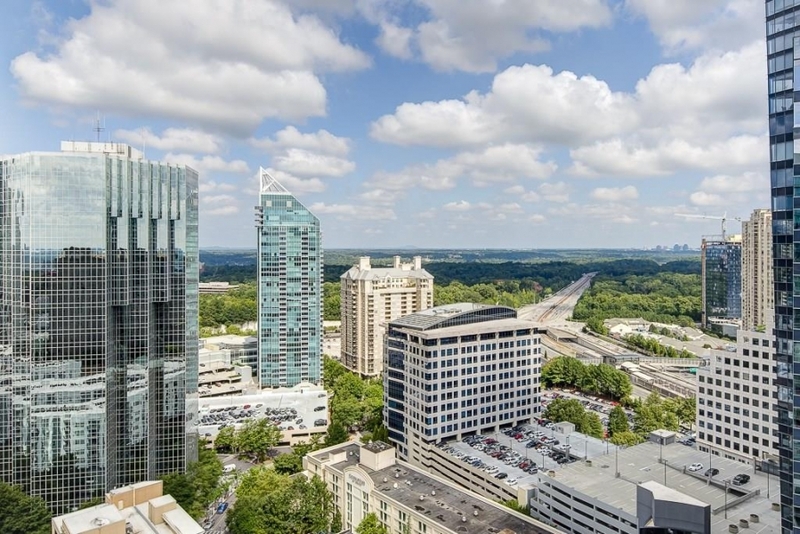 Gallery sites on the south side of Buckhead on Peachtree Road, and because it isn’t crowded out by any other buildings, the views are expansive from every side of the building. 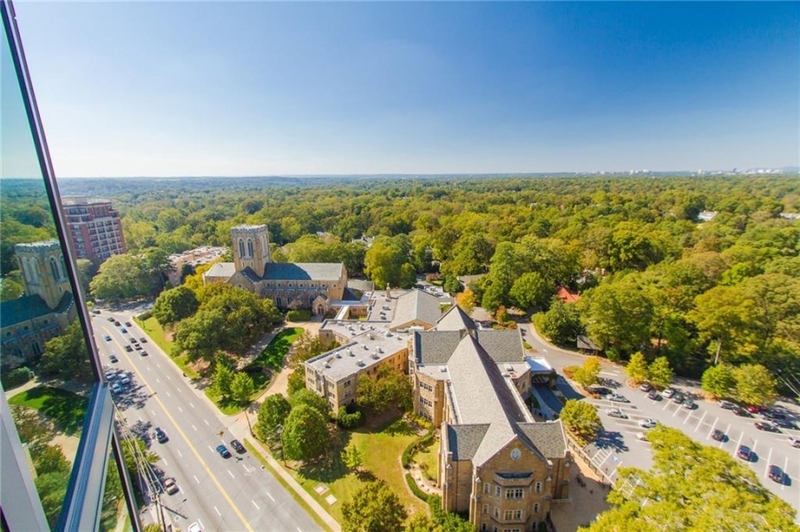 Units on the east overlook the Cathedral of St. Philip and have unobstructed views all the way out to Kennesaw Mountain. 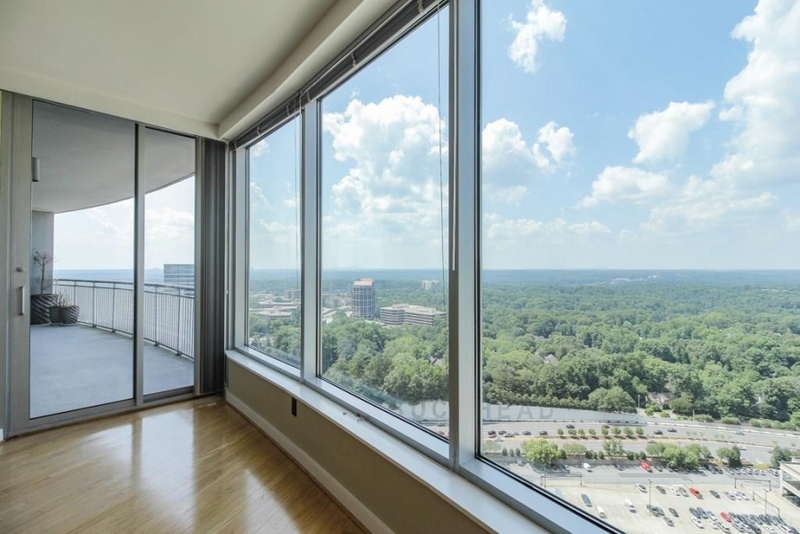 Units that face south have fantastic views of Park Place and unobstructed views of Atlanta’s skyline. 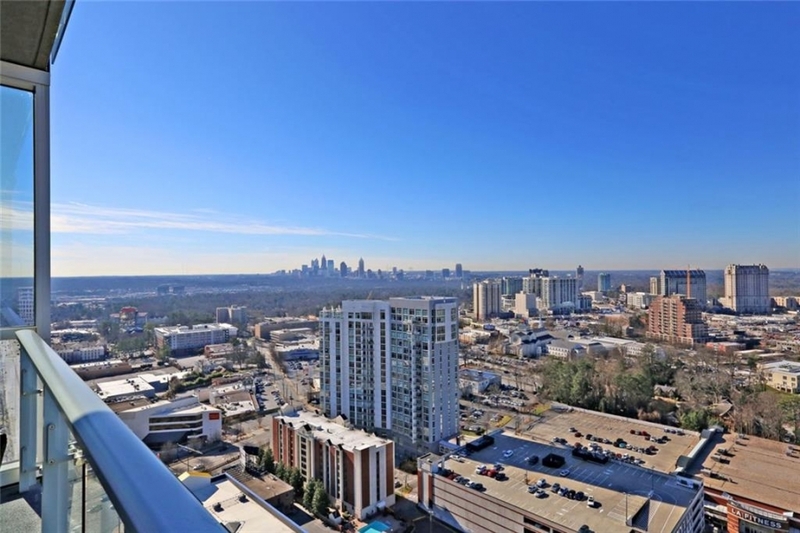 East facing units have views out to the horizon as well as the city skyline. 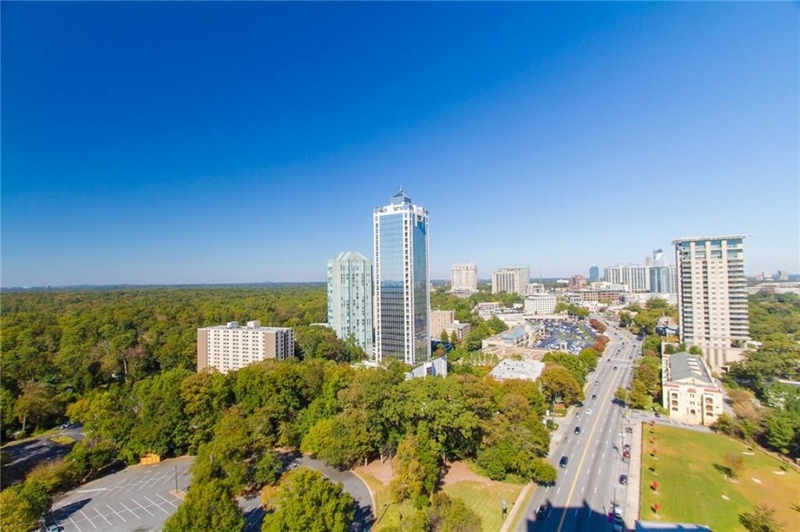 Homes on the north side look directly up Peachtree Road into the heart of Buckhead.